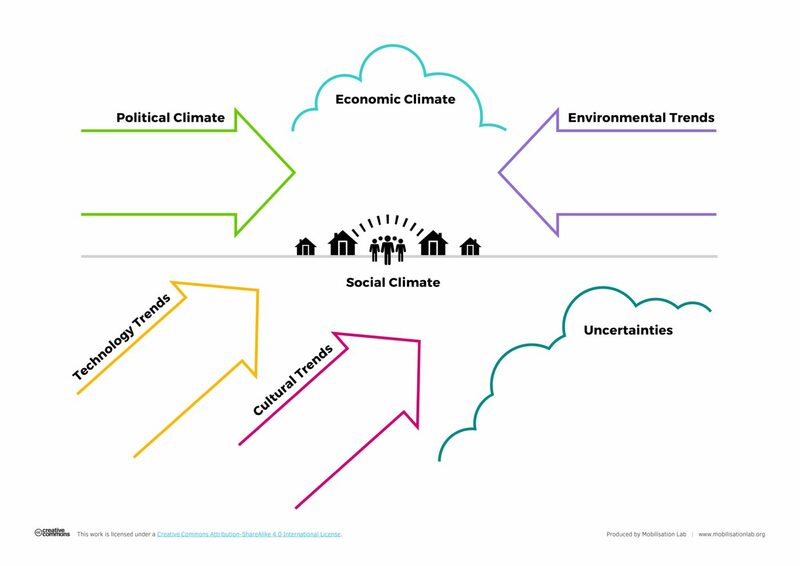 Identify the political, cultural, social and environmental trends surrounding the problem that your campaign aims to address. This tool allows a team to foster out a collective understanding of the overall context in which a campaign is happening. Work on different chunks in small groups, and then reconvene to build it out all together.